 Is Ignoring Psychic Abilities Hurting Me? This is a question more than a story. I've never considered myself to be psychic although I have felt, seen, and heard energies, spirits, ghosts, whatever you want to call it for as long as I can remember. Many of my first memories include seeing entities in my house or having an out of body experiences when I slept. For a long time now, I have tried to ignore these things because of an incident in middle school which made my parents think I was schizophrenic and I have since tried to keep all receptors shut off. Even though both I and my parents have been told since then that I show no signs of mental illness and that I probably have some psychic ability, I still chose not to acknowledge any abilities I may have. But in these past few years my health has been getting worse and worse. I usually don't sleep and when I do, I either have terrible nightmares, or moments when I am stuck in between sleep and consciousness where I’ll see, feel, and hear entities. It's gotten worse since I went away to college since my dorm building used to be a hospital (I didn't know that until too late unfortunately) and now these energies are starting to affect me during the daytime in class. I don't know how to deal with this. I want all of it to go away but I know that’s not going to happen so if anyone knows any tricks to safely developing psychic abilities then please let me know because I am really starting to fear what kinds of bad things may get in if I’m too sick to keep them out.  Comments for Is Ignoring Psychic Abilities Hurting Me? Does anyone know what TOXAPLASMA GONDII is? It sounds like other energies are attacking you. I try my nest to ignore my abilities as well, but I do practice what I call a "protection spell" What it is- is using light energy as a shield. It's a bit hard to explain, but basically you create a barrier from other energies to protect yourself from harmful ones. Just concentrate on your surroundings and pull energy around you. You can use this on other people too if you want them to be safe from harmful energies. I can see this happening all the time in my past and it scares me. seeing things, getting strange feelings, etc. and not knowing what to do with them or how to interpret. I started to understand everything around me was a creation that had truth and meaning. How we interpret them is other peoples spirit (light) or truth which we cannot see but we know its there. We don't look to ourselves for spirit because we are spirit and our truth guides us. Naturally we aren't trained to harm ourselves so if something hurts do not pursue it. Let it go away and it will always be back. Once you treat yourself and your mind as one there shouldn't be stress.